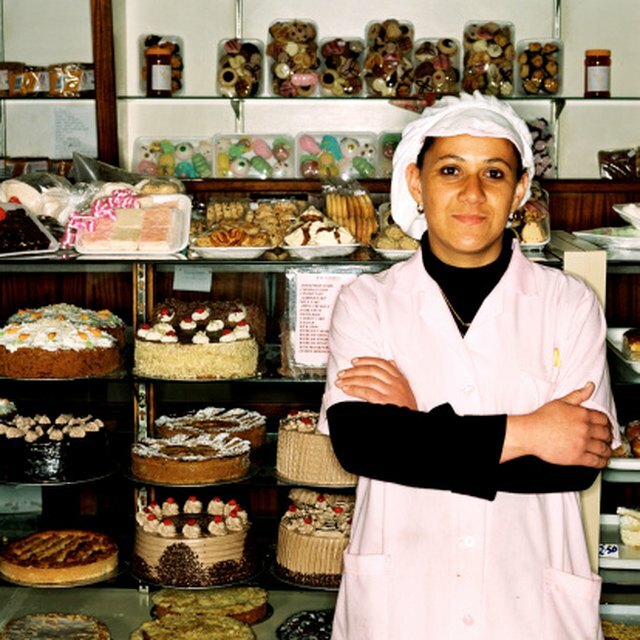 Commercial baking companies turn out billions of products a day. The products must be uniform in size, shape and appearance in order to pass quality control tests, and this is achieved with the help of a largely automated process. Commercial mixers, fillers and ovens combine to process a high volume of products as consistently as possible. Most manufacturers use preservatives and other additives to achieve a long shelf life and uniform appearance. Most standard commercial cakes use a batter made from wheat flour, fat, eggs, sugar, milk powder, water, flavorings, preservatives such as sulphur dioxide and raising agents such as sodium carbonate. The ingredients are combined in either the sugar batter or flour batter methods. 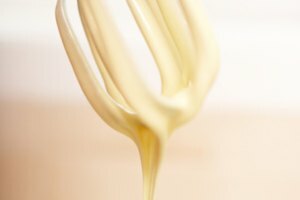 In the sugar batter method, the fat and sugar are creamed together, followed by the liquid then the flour. In the flour batter method, the fat is blended with the flour before being gradually mixed with the eggs and sugar. Increasingly, the “all-in-one” method is being used, which combines all the ingredients except fruit simultaneously. 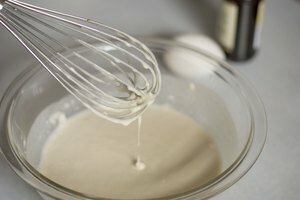 The batter is mixed in a commercial mixer. Once all the ingredients are combined, the mixer continues to beat the mixture for a further 10 minutes in order to trap in air and allow the cake to rise properly. The air works in conjunction with the added raising ingredient and the cake will grow in size during the baking process. Once the mixing is completed, the batter is turned into a mold for baking. The baking mold is automatically sprayed with a thin layer of oil, which prevents the batter from sticking to the mold during the baking process. The mold is then filled with batter via an automatic dosing system, which monitors the shape, weight and level of the batter. Once full, the molds are taken via conveyor belt through an automatic oven. The temperature and humidity of the oven are carefully regulated to produce the best result for the cake type so that it cooks evenly and thoroughly. 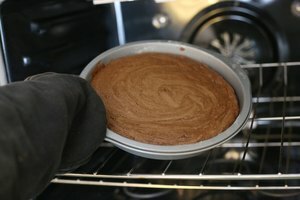 To prevent the surface of the cake from cracking during the initial rising process, the crust is sprayed with water to make it more flexible. Once the cake has fully risen, the crust is allowed to dry and take on its baked coloring. 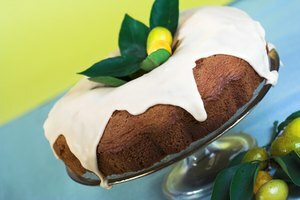 After baking, the cake must be thoroughly and carefully cooled so that it does not collapse. As the cake cools, it releases moisture into the air that is removed by powerful suction pumps in the room so that no condensation forms. Once the cake is completely cool, it is released from its mold and packaged so that it will be ready for transportation. The cake must be completely cool before packaging, or condensation will form and damage the product. Commercial cakes are normally wrapped in plastic packaging, possibly with the additional of a cardboard tray.